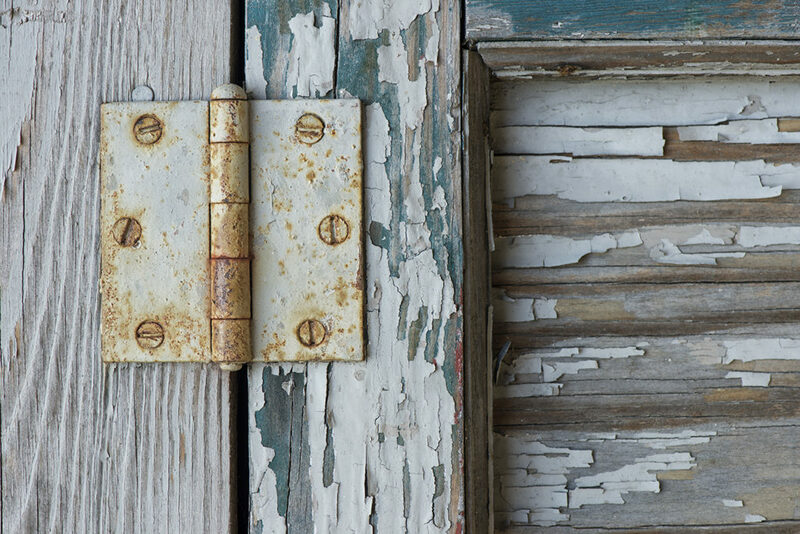 In an abandoned fish processing plant near Cape Charles, Virginia, I came upon a rotting wooden cupboard. Its wood was buckled and almost bare of the green paint that had once covered it. 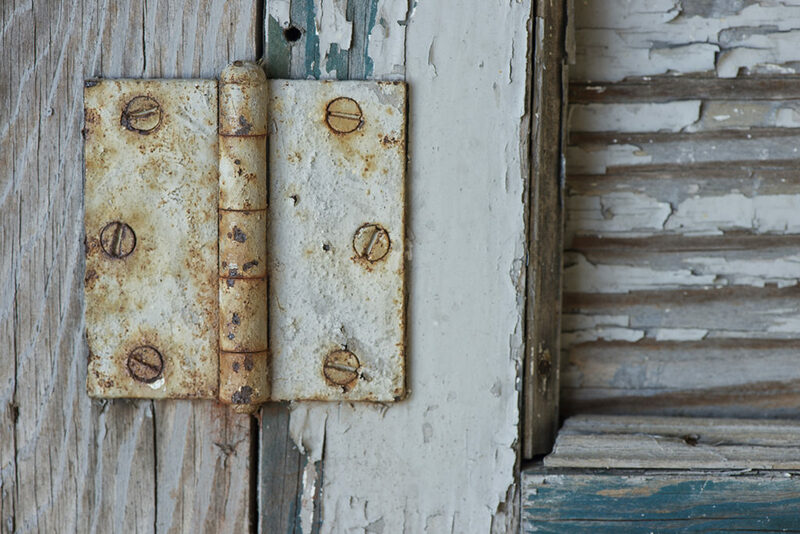 The metal bracket, which had once held its doors tightly shut, was rusted, buckled and misshapen. 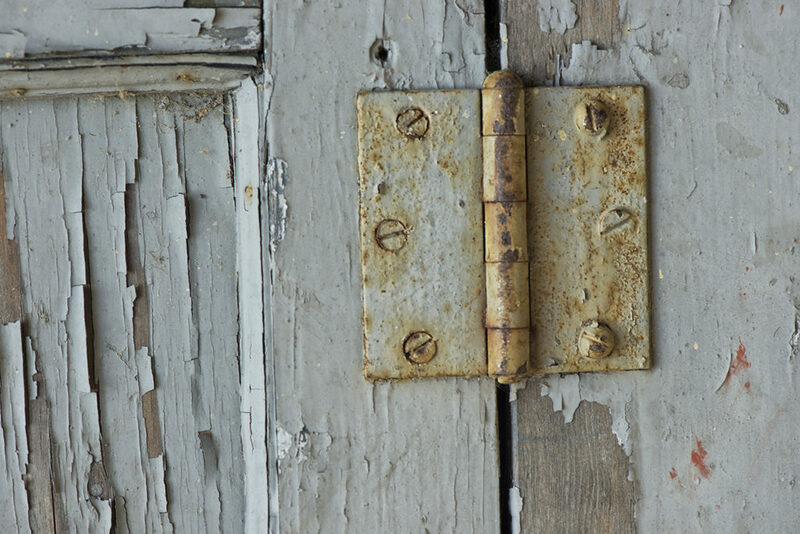 Its once secure hinges were rusty-red and starting to separate from the wood to which they had once been tightly screwed. 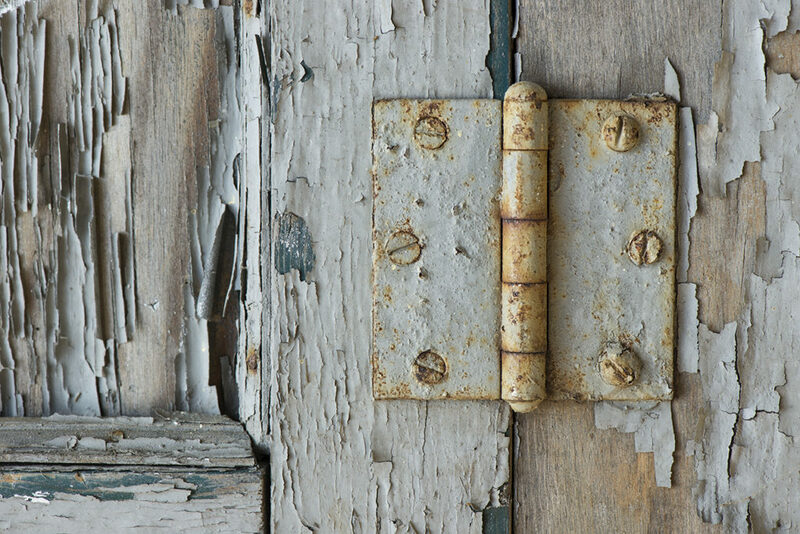 Each of its four hinges was contorted in a different way, fighting to maintain its integrity against the shifting, buckling wood that betrayed it behind its back. 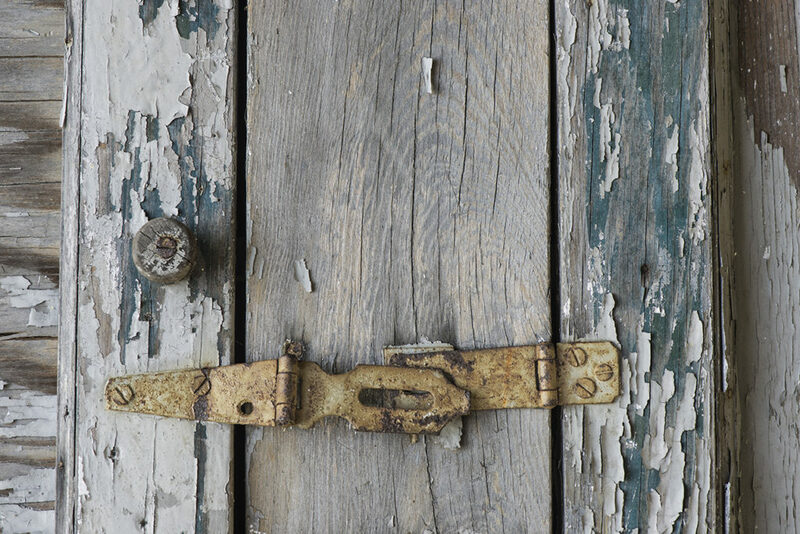 But in this rotting, rusted cupboard, there was real beauty.